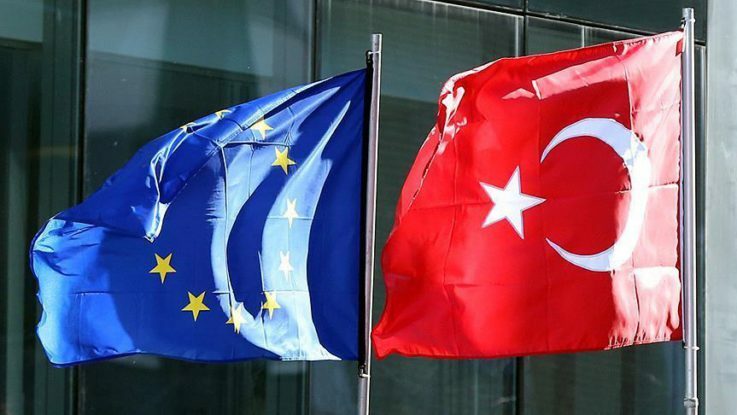 Turkey was the fifth largest trade partner of the European Union last year, according to data from the Union’s statistical authority on Wednesday. In 2016, Turkey’s trade volume with the 28-member bloc was €145 billion ($156 billion), comprising 4.2 percent of the overall trade volume of the Union, Eurostat’s report said. Last year, Turkey’s exports to the EU stood at €66.7 billion, up 8.3 percent from a year earlier, making it the fifth largest import market of the bloc with an approximate share of 4 percent in overall EU imports. Turkey’s imports from the Union, on the other hand, was €78.01 billion, down 13 percent or €990 million from 2015, placing Turkey as the fourth largest export destination of EU, with a 4.5 percent share in whole EU exports. The U.S. topped the list of largest EU trading partners with a trade volume of €610 billion, or 17.7 percent of total EU trade in goods, while China came second with €515 billion, or a 14.9 percent share. Switzerland and Russia occupy the third and fourth spots in terms of trade volume, with shares of 7.6 percent and 5.5 percent, respectively.